RN certification in Alaska imparts various soft skills to nurses so that they can handle the patients effectively. The state offers a number of courses in nursing to help individuals fulfilling their dream of becoming a registered nurse. The Alaska Board of Nursing authorizes the RN license. The applicant must be of eighteen years of age. The students should complete their graduation in any of the three courses: diploma, associate or bachelor in nursing. 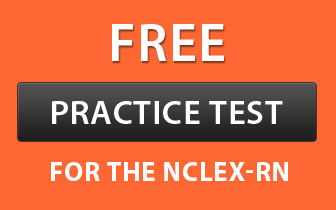 You must pass the NCLEX-RN examination with minimum passing marks of 70%. Step1- Complete high school education or acquire GED (General Education Development) certificate. Step 2- Obtain either diploma or degree (bachelor or associate) in nursing. Step 3- Clear the NCLEX-RN Exam (National Council Licensure Examination-Registered Nurse) with required passing marks. Click on the link to download the application, and read the procedure as well as the information before start filling the form. Complete notarized and signed application including a recent passport type photograph, approximately 2X2” of the shoulders and face on photography paper. The photo should be recent and taken within 6 months preceding the application date. A money order or check of $275.0 (or $325.00 if it includes temporary permit too) drawn on the name of the State of Alaska. The fees comprise of $60.0 fingerprint processing fee, $165.00 license fee, $50.00 application fee (non-refundable), and $50.00 temporary permit fee (in case, permit is requested). Fingerprint card recognized by the Alaska Board of Nursing. Licensure verification sent from the state where you had received the initial license and from the state where you possess your current license. Important- You will be deemed eligible for a nursing license by endorsement in Alaska if you own a current license in another state. An inactive license will not be considered as the current license. Employment of 320 hours or more in the past two years verified on a form given by the Department. If you can’t submit the proof of 320 hours of employment, you will have to either undergo a refresher course approved by the Board or fulfil the continuing competency requirements as prescribed by the Board. Note- It totally depends on the discretion of the Board whether or not to issue a temporary permit. Besides fees and application documents, you’ll have to submit the following in order to become entitled to the permit. Duly filled employment verification form. A certified true copy of the current license in another state licensing jurisdiction. An additional fee of $50. Temporary permits are non-renewable and valid for 6 months. You’ll receive it within ten business days of receipt of a correctly completed fingerprint cards, certified true copy of current license, employment verification form and application. You are responsible to find out the expiry date of your permit and complete the paperwork for your permanent license. Time duration for the application processing:For a permanent license- If all the documents are submitted, the license will be provided at the initial review time, else, a notification will be sent to you by e-mail or mail if documents are missing.For a temporary permit– If all the documents for a permanent license are not completed and you have requested for a temporary permit it will be issued. A refund of $50 will be processed if you have made payment for a temporary permit, but don’t need it. The applicant needs to provide Social Security Number (SSN) of the United States. In case, you don’t have your SSN, visit www.nursing.alaska.gov and complete the “Request for Exception from Social Security Number” form. You can also request the form by contacting the division office. A non-renewable license of 150 days validity may be issued to you if you are found in arrears on child support by the Alaska Child Support Enforcement Division or if you are determined in loan default by the Alaska Commission on Postsecondary Education. Despite when first issued, all RN licenses run out on November 30 of even-numbered years. However, it is not applicable on new licenses issued within ninety days of the date of expiration. These licenses will be issued with effect from the next biennium. You can also submit the completely filled form in person at the above mentioned address. After downloading the form, complete all the required entries and send it to the mailing address written on the top of the form. You can also verify your license online using the under mentioned site.